ClotIt is a non-staining, blood clotting powder made up of all-natural minerals designed to rapidly stop bleeding in minor to severe external wounds. 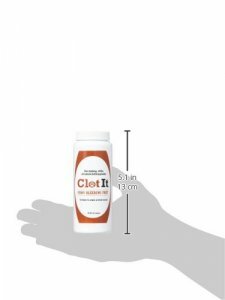 ClotIt is a patent-pending, multi-action compound of all-natural minerals. Upon contact with blood, ClotIt facilitates and accelerates the body's natural coagulation cascade, while simultaneously slowing blood flow, by constricting local vessels and capillaries. ClotIt's fine granules create an iconic attraction between blood cells resulting in flocculation (clumping together) of these cells, and also rapidly absorb plasma at the wound site, leaving behind platelets and blood cells, to aid in forming a solid clot. 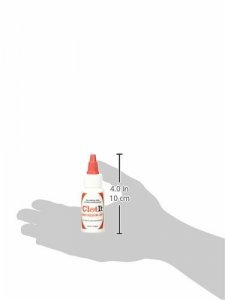 This multi-action process results in complete clotting in seconds.